How do we define 1 to many and many to 1 relationship in LINQ? How can we browse using entity framework classes? How can we call a stored procedure using LINQ ? 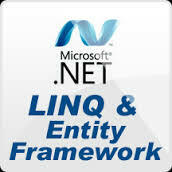 What’s the difference between LINQ to SQL and Entity framework? How can we add using EF? What are entity classes in LINQ? How can we insert, update and delete using LINQ? What are CSDL, SSDL and MSL? How can we use stored procedures in entity frame work? How can we load the LINQ entity class ? What are DBML files in LINQ? What is the work of EDMX file?